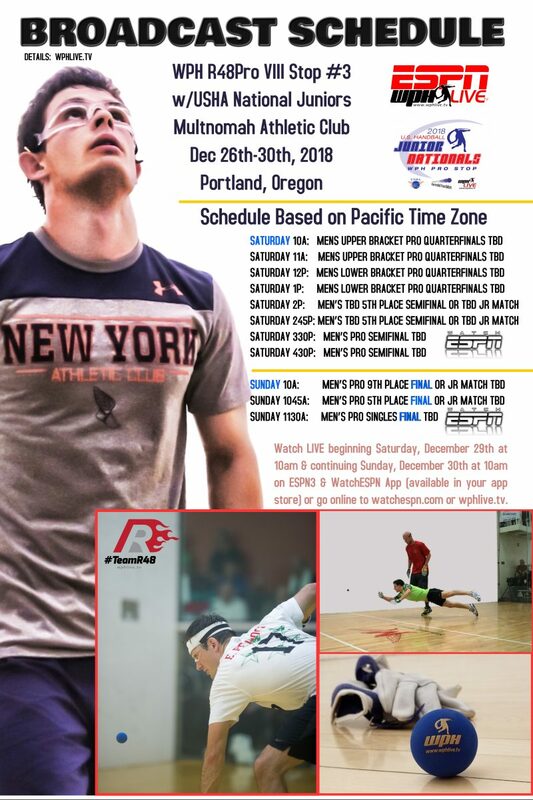 Portland, OR, WPH Press, 11/27/18- The World Players of Handball’s Race 4 Eight Tour Powered by ESPN is thrilled to host the 2018 Race 4 Eight 8 Portland Stop #3 from December 28-30, 2018. The 2018 Portland Race 4 Eight 8 Stop #3 will be held at the famed Multnomah Athletic Club, located at 1849 SW Salmon Street, Portland, OR, 97205. The 2018 Portland R48 marks the 51st event in the history of the Race 4 Eight tour, with the tour spanning 16 states in its first eight seasons. The 2018 Portland R48 features the top R48 Men’s pros in the world competing at one of the world’s most spectacular and storied athletic clubs. 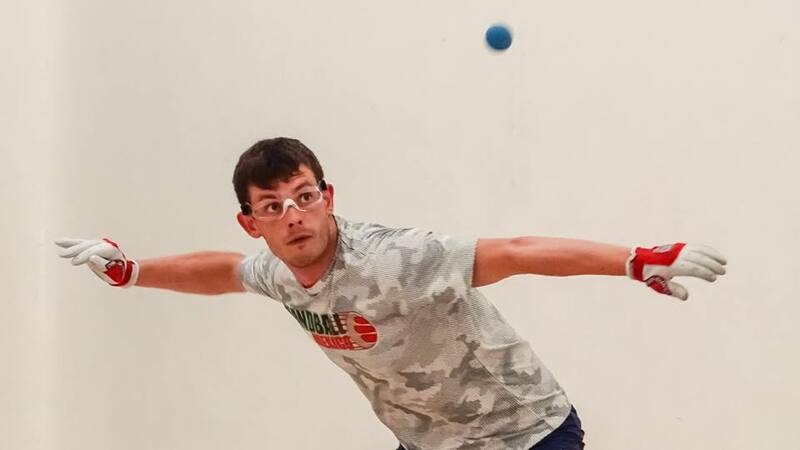 The 2018 Portland R48 will be held in conjunction with the 63rd Annual USHA National Junior 4-Wall Championships, featuring the best under-20 handball players in the world. The 2018 Tucson Memorial R48 Men’s Pro will feature the top eight players on the R48 tour, highlighted by co-R48 #1’s Killian Carroll (IRE) and Sean Lenning (WA). Carroll has won 9 of his last 13 R48 starts, while Sean Lenning captured the second stop of the 2018/18 R48 8 season at November’s R48 8 Tucson Memorial, overcoming Carroll in the final. Joining Carroll and Lenning in the 2018 R48 Portland draw will be October’s R48 8 Stop #1 Atlanta champion and current R48 #3 Luis Cordova, Jr. (MEX), Daniel Cordova (TX), David Fink (AZ), Emmett Peixoto (CA), Vic Perez (CA), and Mando Ortiz (CA). 24 additional players will complete the 32-player draw aiming to dethrone the Elite 8, with top stars from California, Arizona, Oregon, Texas, Minnesota, New York, Kansas, Mexico, Canada, and Ireland making their way to Portland in search of R48 ranking points and the R48 Portland title. The R48 pros will be holding junior handball clinics, autograph sessions, and a number of interactive activities with the junior players competing in the USHA National Junior 4-Wall Championships, giving the rising stars an opportunity to watch and learn from the best in the sport. The Broadcast Schedule is posted below. 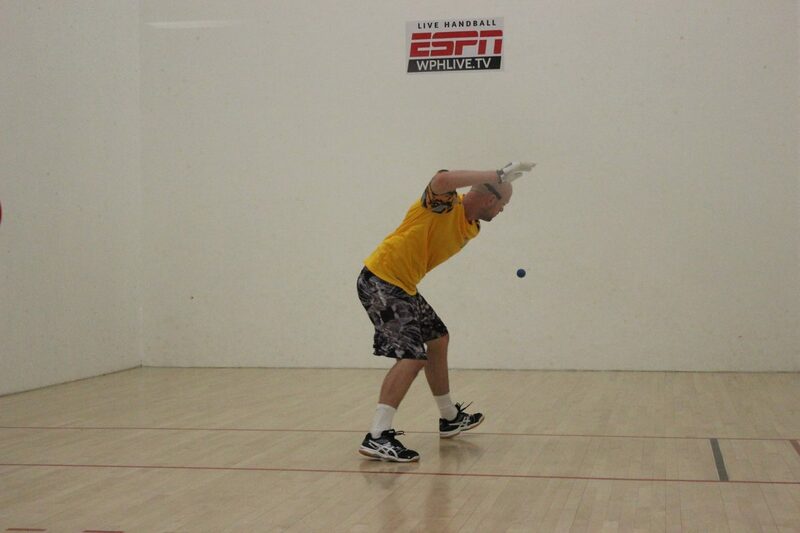 Please share with your handball lists.